Carson Storch will tell you that he was a “late bloomer.” He didn’t blow up at an early age and get a killer deal, but rather it was a slow process and his perseverance paid off. The 25-year-old from Bend, Oregon is certainly in full bloom now. 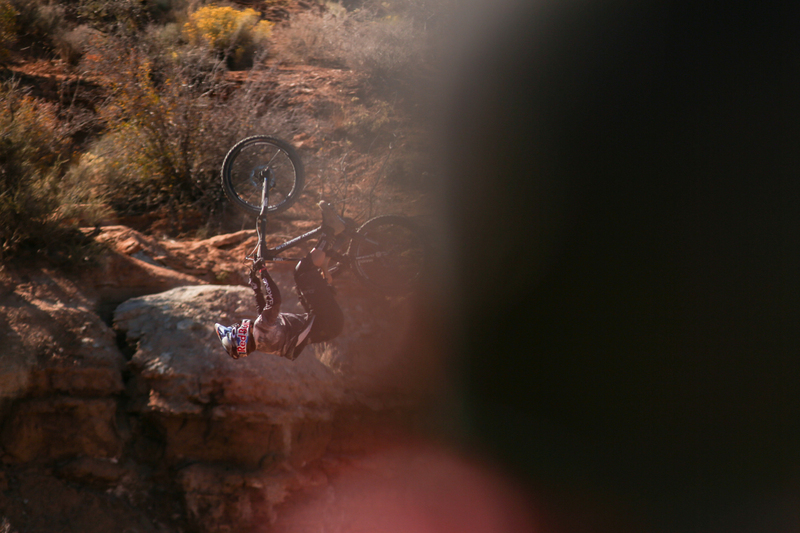 After years of competing in slopestyle events, he was invited to Rampage in 2014 where he finished 15th. An injury took him out of the competition in 2015, but he got a Wild Card invite back the next year and snagged third place when he stuck a 360 on a massive drop. The 360 also won him Best Trick that year and he’s had a place at Rampage ever since. Storch is back in Virgin, Utah and about to compete for the third year in a row. Singletracks caught up with him ahead of the competition to find out what he’s been up to and what he’s planning for Rampage. 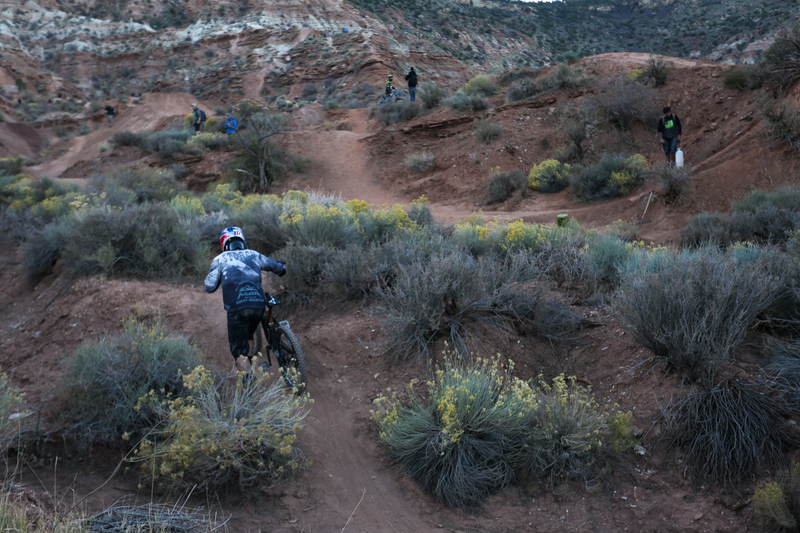 Singletracks: You’ve already had a whole year since the last Rampage. It looks like you’ve been busy promoting North of Nightfall and competing in a few other events. How’s your year been and what have you been up to? Carson Storch: The year’s been good. It’s been a bit of a different pace. I did pretty much the whole US film tour for North of Nightfall, so it’s been a lot of flying around and going to premieres all over the US. In between that, I did some coaching, a little bit of competing on the slopestyle side, and lots of filming and photo shoots for various projects. Singletracks: What kind of film projects have you been involved in? Carson Storch: I shot a couple of Dakine ads and I’m filming random edits and projects for the companies I ride for. I’ve been working on a long-term project with Clay Porter. We’re not sure if that’s going to be a Red Bull project or not yet, but it’s a short film we’ve been working on and we’re hoping to release it by the end of 2019. That’s been the main focus besides Rampage. 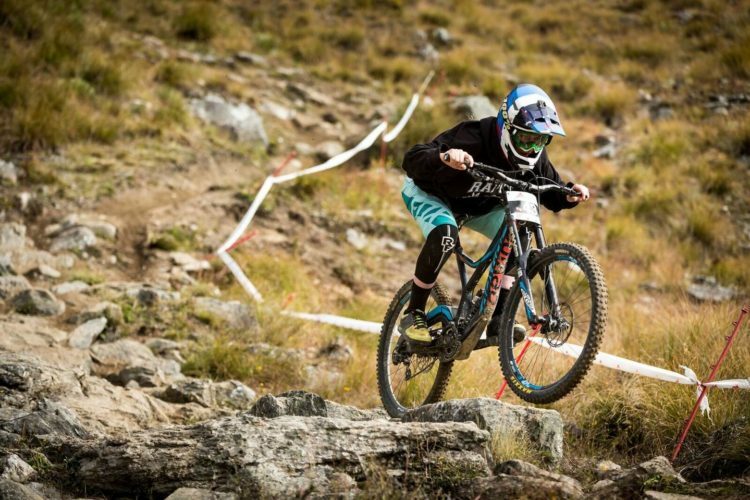 Singletracks: What slopestyle events have you done this past year? Any Crankworx events? 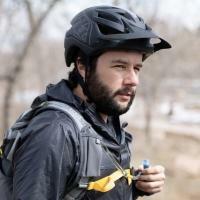 Carson Storch: No, I didn’t do any of the FMB (Freeride Mountain Bike) events. Pretty much the only slopestyle event I did was Tom Van Steenbergen’s event, called the Big White Invitational, and it’s a gold-level FMB event, but it’s invitational, so it’s not all based on FMB points. So, I got to do that one and ended up doing alright for my first and only slope comp of the year. I got fourth place, so I was stoked and surprised on that. But, no Crankworx. It’s hard to get the invite for that. I’d love to still do them, but it’s hard to balance the slope scene with the freeride scene. And, I’ve kind of already been there, done that. I worked my way up the tour and did all the smaller contests in Europe. I had a season of injuries and that took me out of the slopestyle scene a little. I’m fortunate to be able to focus on the freeride stuff and film, and that’s what I want to be doing. 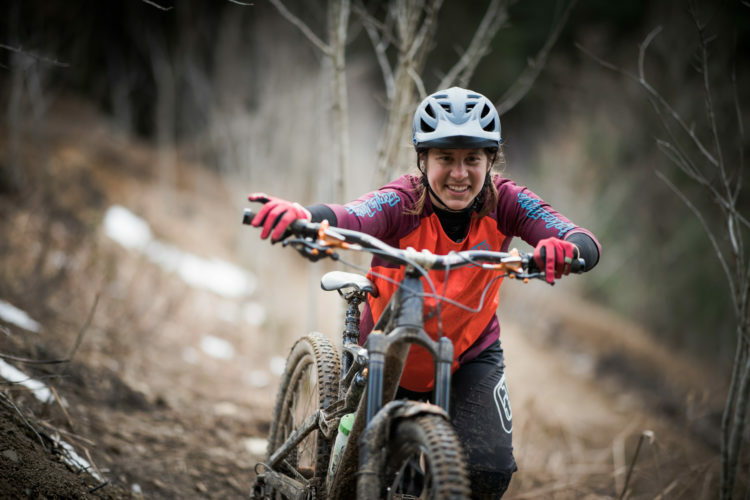 Singletracks: You played a big part in the Fest series by hosting the Black Sage Fest in your hometown in Oregon. Is that event mostly for fun or do you use it to progress? Carson Storch: It’s both. It’s really fun to be able to hold that and bring it to my hometown. 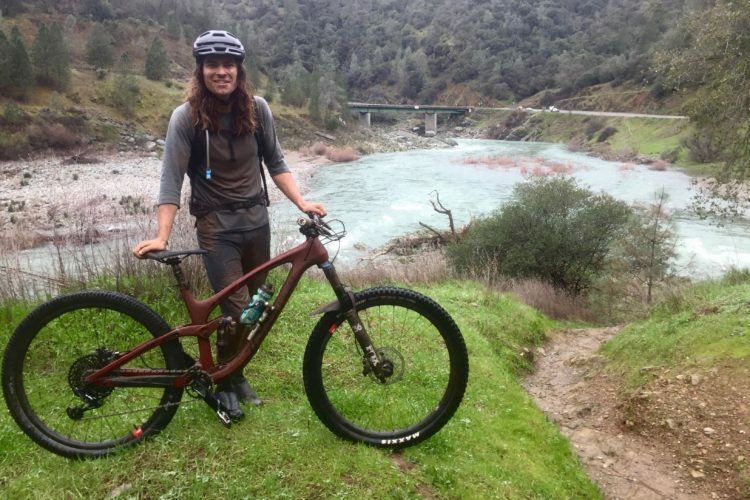 I know in the local scene in Bend, people are really stoked on Black Sage and bringing that style of riding to Bend for people to see. 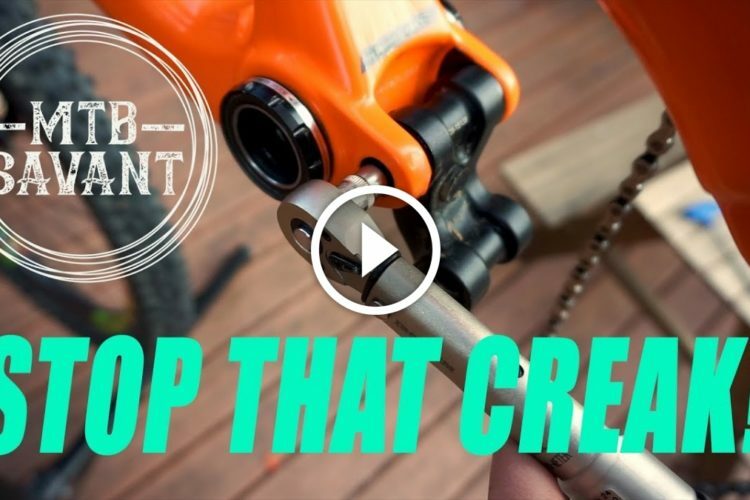 For me, it’s definitely a way to progress my riding, and to be able to ride with that whole crew, and [progressing] what we build is a big part of it. We’ve done it for two years now and Kyle Jameson and I definitely upped it for this year, and for next year we have bigger plans to build more stuff and to keep the progression going. But, it all comes down to the fun side of it. That’s the point of Black Sage and the Fest series is to keep that low-pressure scenario to progress. 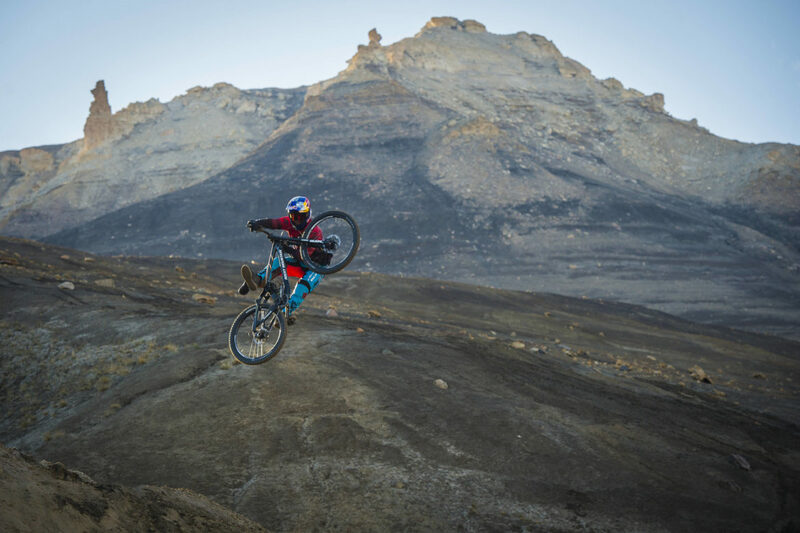 Carson Storch flipping at Red Bull Rampage in 2017. Photo by Matt Miller. 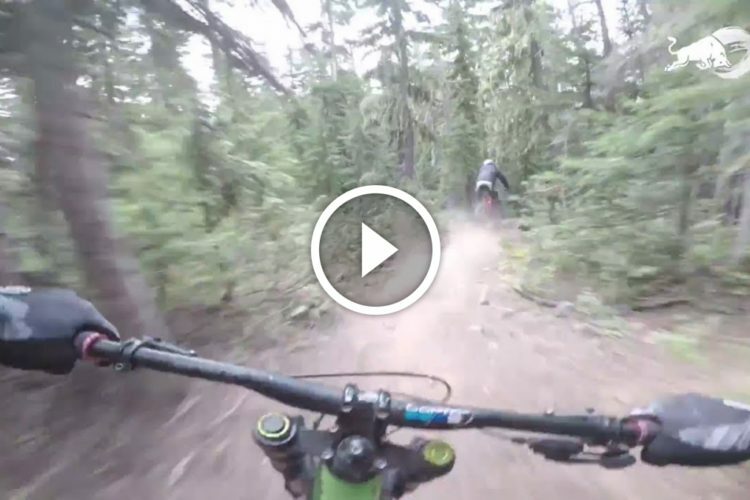 Singletracks: Who do you ride with that pushes your progression? Carson Storch: My buddy Reed Boggs just moved in with me at my house in Bend. So, it’s pretty sweet to have him around. When we’re both around at the same time we can ride every day and push each other. Also, Dusty Wygle, he lives in Bend now, too. 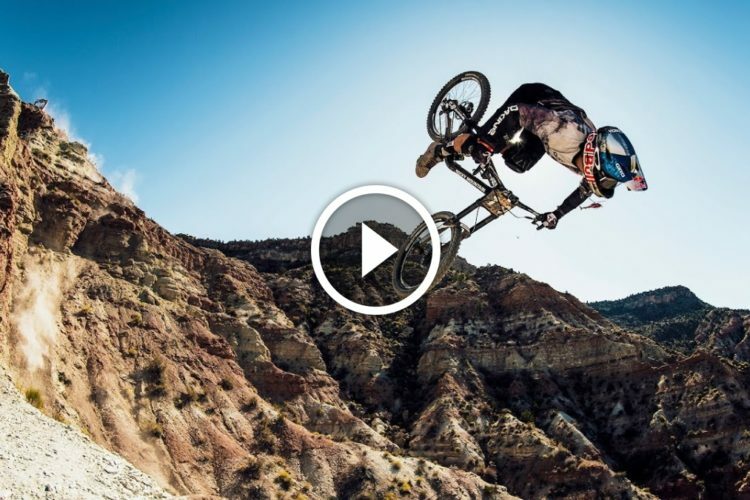 He’s a freak on a bike and does some of the craziest stuff in the world as part of the Nitro Circus Tour. Riding with him everyday at home is a motivator to keep pushing. 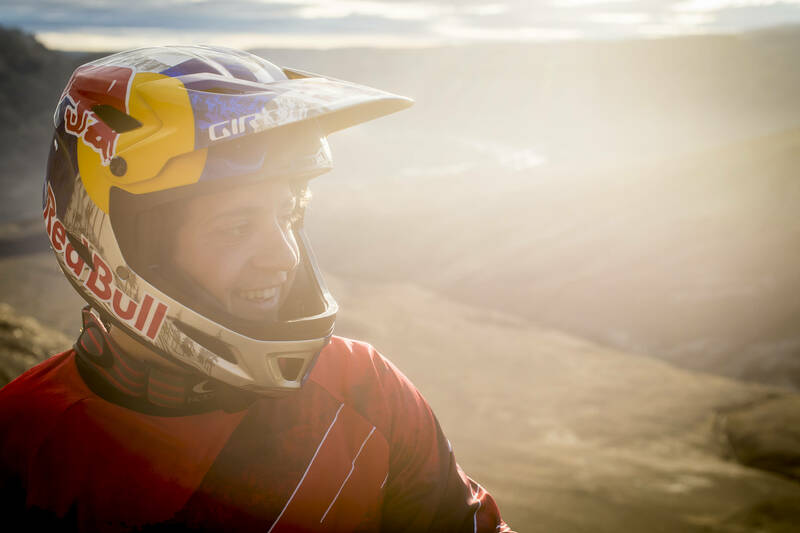 And then Cam McCaul and Kyle Jameson. We have a good team going in Bend. Growing up there, Kirt Voreis had been in Bend for a while and Jamie Goldman as well, they were both huge parts of why I have a career now. They helped me so much with support. To grow up and have them, and then have all these other dudes move to Bend is pretty cool for me. For a while there I was riding alone and the only time I got with people was when I was going on trips. So, it’s pretty sick to have people come to Bend and see the scene grow. 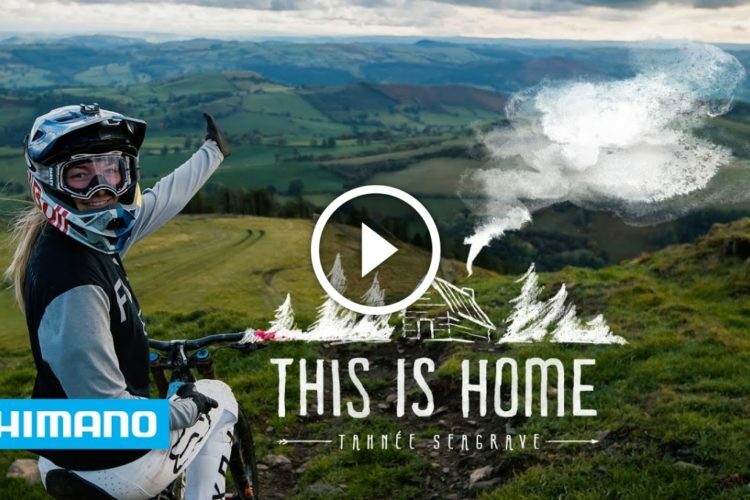 Singletracks: Last year you had some friends from home on your dig crew at Rampage? Last year I had a buddy I grew up with come and dig with me and he did really well. But, this year he’s staying home. This year I have a full Canadian dig crew with Nick Tingren and Dustin Gilding. They’re good buddies that I’ve known for a while. It’s probably my most capable dig crew yet. 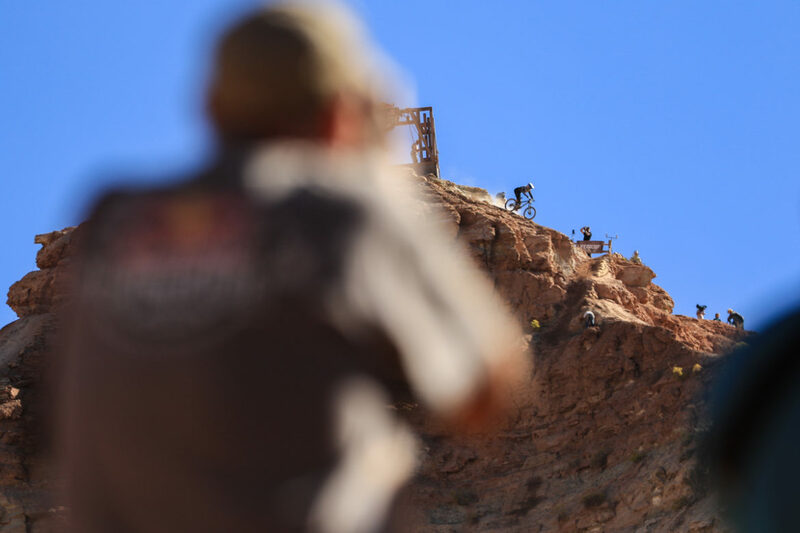 Storch pushing up the hill for practice runs at Rampage in 2017. Photo by Matt Miller. Singletracks: How important is it to have the right dig crew at Rampage? Carson Storch: It’s really important. If you have a vision and the dig crew isn’t that motivated to work really, really hard, then it’s hard to accomplish what you want. So, having a dig crew you can trust and you trust them with the way they build and see the terrain, it’s really important. Dustin could go build me a line and I’d trust it, through and through, because he could ride it as well. So it’s important to have a crew you could trust and that you know are going to work as hard as they can, because that’s pretty much what you have to do to build a pretty unique line out here. 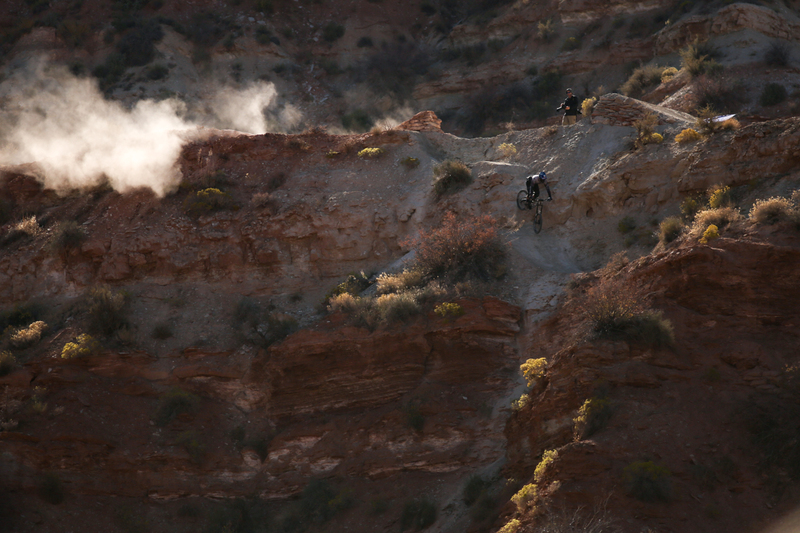 Singletracks: Rampage is at a new venue this year. How do you expect it to be different and how will it impact your line? Carson Storch: I’m not really sure. I’m going [into] it without any expectations. I have some tricks in mind that I want to do and if the terrain speaks to me and I see features that would be good to do those tricks. But at this point, I just know it’s a bigger venue, there are more options and lines down from the top. So, I don’t know what to expect, I just know that there’s a lot to choose from, so there’s a little bit of pressure there on the first day of scoping and planning my line. Really, I’m just going in with an open mind, because I don’t know how the terrain is yet. Storch dropping into a line at the 2017 Rampage. Photo by Matt Miller. Singletracks: What tricks do you have in mind? Carson Storch: Well, there’s no specific tricks. There’s my whole bag of tricks that I’m feeling good with right now and I’m in the mindset that I’m feeling good with all of these tricks and if the terrain allows for it, then I’ll build features around them. Out here you can pretty much do whatever you want, so I’m pretty confident that I’ll be able to put together a pretty rad line just knowing that this is the biggest and most wide open site yet. Singletracks: I imagine there’s a lot of mental pressure from fans, media, sponsors and others as you get closer to Rampage. How do you keep that in check and keep your head clear? Carson Storch: I just focus on staying in the moment. The goal right now is to register and get up there and scope, so I’m just focusing on that. I’m not really focusing on what I have to do well, or renegotiating a deal or anything like that. I’m just kind of blocking out all the extra stuff and focusing on the task at hand and for now it’s building my line and finding a line first, and then for practice I’ll focus my energy on that. When it’s time to compete I’ll do a couple of runs and then focus on that. Carson Storch 360ing a drop at Rampage 2017. Storch first landed a big 360 drop at the 2016 Rampage which earned him Best Trick and 3rd place. Photo by Matt Miller. When I 360’d the drop the past two years, if I’m thinking about that at the top, that’s not a good headspace to be in. I have to take it as it comes, and for me to do that, I have to be having fun and be in a good mindset. If you’re tripping about something, then that’s just a negative headspace that doesn’t need to be there. What I’ve learned over the four years that I’ve done this event is the more you anticipate and worry about what’s to come then the worse off you are, because you start digging a huge hole in your head. Singletracks: The last two years that you’ve competed, you’ve had top-ten results, with 7th last year and 3rd in 2016. What do you think you’ll have to do differently to take the top step? I’m going to have to pick a pretty impressive line and pull a couple heavy moves. Like I said before, I’m feeling pretty confident with my tricks right now and I know I can do it if all the stars align. It’s all being confident in the line I choose and the tricks I choose. 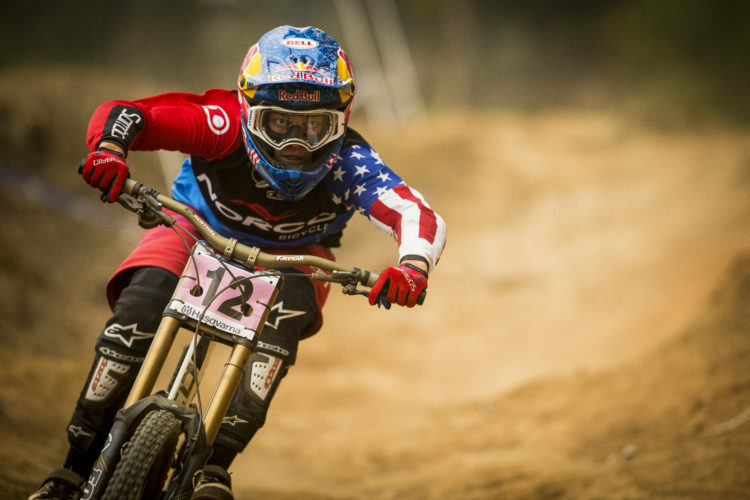 But I’m not trying to focus on the win, I’m trying to focus on riding as good as I can and it’ll play out how it will. If I can ride to my full potential and have fun with it, then I know I’ll be better off focusing on that rather than the result. Singletracks: It sounds like you had your mind set on going pro very early in life. Now that you’re there, what other goals do you have for your career? Carson Storch: Goals kind of shift as you progress through your career and I’ve had a few moments where I’ve had to think why I’m in it, and what my long-term goals are. I think as of now, just trying to build the sport and using my position to build slopestyle and build freeride and give back to the sport and get more kids into it is one of my goals. It’s a vague goal because I don’t know exactly what I’m going to do yet. But, I think holding Black Sage is the start of it because it’s kick started the scene in Bend and there’s a whole generation of kids that are killing it. But that’s just one side of it. There’s a lot of potential still and room for growth for a kid to get into it. 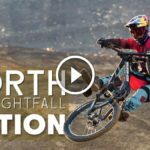 Singletracks: What’s in store for the off-season? Carson Storch: Decompressing after this, because it’s been a long year for me. But, doing a couple of builds and hopefully filming a segment for me and Clay’s movie, if the weather supports it. But other than that, just chillin’ for a little, preparing for Black Sage, going to New Zealand for McGazza Fest in January. So, it’ll be busy still, but more time at home to decompress and then just get ready for next year. 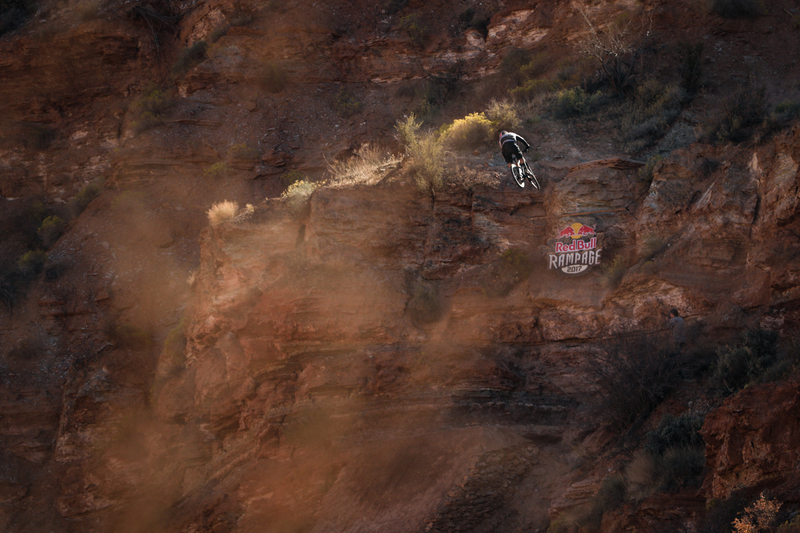 Thanks, Carson, for chatting with us ahead of Red Bull Rampage. Visit Red Bull TV on Friday, October 26, 2018 at 9am PST/10am MST/ 12pm EST to watch.